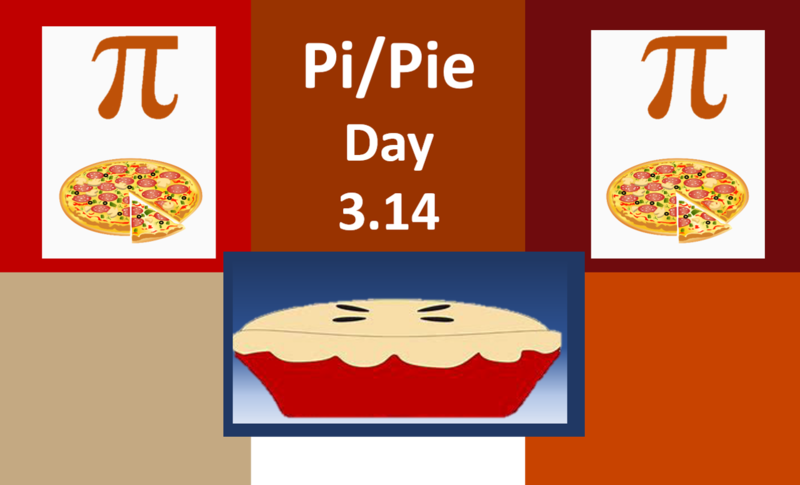 Join us at the Upper Valley Campus St. Helena on March 14, 2019 for all things Pi and Pie! Pizza Pie (individual slices and small artisan wood-fired pizzette). Sweet Pies (individual slices and whole pies to go) Made by the Napa Valley Cooking School Professional Culinary Program AVAILABLE FOR SALE AT DELICIOUS PRICES! Group recitation of the infinite digits of Pi starts at 3pm and will go until we falter! Last reciter standing gets his/her own full pie for FREE! RSVP requested (but not required) via Eventbrite. Link to Eventbrite can be found using ticket option.